Dallas Motorcycle Accident Attorney | Juan Hernandez Law P.C. According to the U.S. National Highway Traffic Safety Administration (NHTSA), Motorcyclists are 35 times more likely to experience a deadly accident on the road than those in passenger cars. In 2006, 72.34 motorcycles out of 100,000 registered motorcycles ended up in fatal crashes, while the rate for cars is 13.10 per 100,000. 11 percent of all roadway accidents that occur in the United States involve motorcycles. In 2006, 88,000 motorcyclists were injured in highway accidents alone and 4,810 motorcyclists were killed in road accidents. Head injury is the leading cause of death in motorcycle crashes. 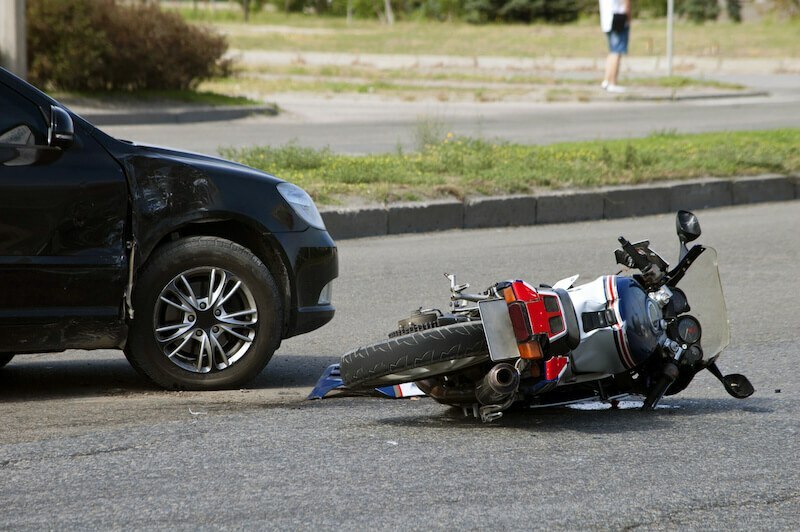 Motorcycle accidents can lead to a variety of injuries or even death. If you or a loved one has suffered an injury or death due to a motorcycle accident, let Juan Hernandez Law protect your rights. Motorcycle injuries can vary widely in severity. You need to be properly diagnosed to see if you have internal bleeding, head trauma, or any number of other potential injuries. If needed, Juan Hernandez Law staff can help you get to the right specialists for your specific medical needs. Juan Hernandez Law P.C. is experienced in representing motorcyclists across the state of Texas. Contact us today to receive a free case evaluation by one of our experienced Dallas Personal Injury Attorneys.